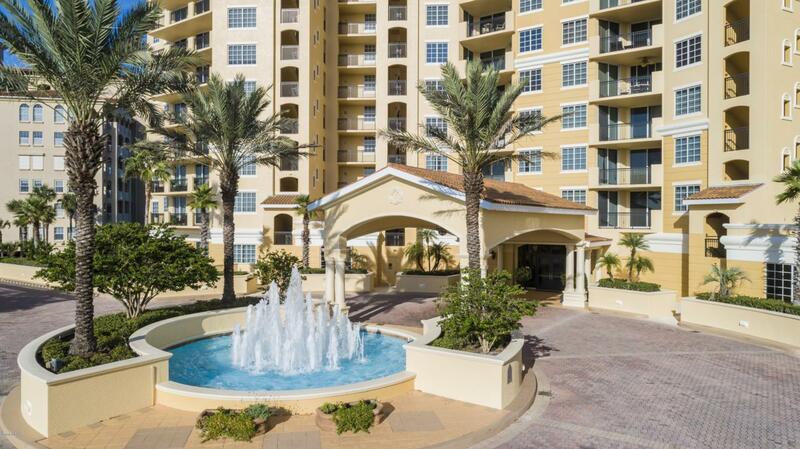 Direct Oceanfront Luxury Condo w/magnificent views and breezes of the Atlantic Coast. The most popular floor plan w/3 Bedrooms EnSuite plus half bath. Gourmet kitchen is centered between livingroom/diningroom and great room including separate wet bar w/wine chiller and walk in pantry. Large laundry room with loads of storage. Enjoy morning sunrises on your expanded balcony and sunsets off the western balcony. Cambria which is a star luxury building w/golf simulator, theater room, fitness center w/sauna & steam, elevated pool w/great ocean views, social room, wine room and so much more. 2 assigned parking places in underground parking. Additional air conditioned storage locker.Cambria Condo offers state of the art amenities oceanfront pool & spa, fitness center w/steam room & sauna & indoor spa, golf simulator room, theater room, wine room, Social Room & Billiards, Business Center. Cambria offers 2 Guest Suites available for residents to reserve for $100/N. Each Guest Suite has 2 Queen size beds, Wet Bar, TV, WiFi and easy access to amenities. Hammock Dunes private club membership is available but not required. This allows you to have access to clubhouse, golf, 2 restaurants and sports bar, tennis, croquet, additional pool and fitness. Listing courtesy of Steven Thomas of Trademark Realty Group Of Palm Coast.